If you go to Spike Lee's IMDB page, it lists 82 directing credits to his name. EIGHTY-TWO. He's literally been directing things for the last 50 years and this is the movie he finally gets recognized by the Academy for. Huh. Here's the thing: there's nothing really wrong with this movie. It's a fabulous premise, well acted, and very powerful at times. It was obviously written with a lot of thought and intention, and not a single scene is wasted or fluff. In that regard, it's a Masterclass in storytelling. This movie, while entertaining, was basically a PowerPoint presentation where every slide reads "racism is bad." There was an attempt to add nuance in the police's role in upholding and perpetuating white supremacy, but wasn't dug into nearly as much as drawing parallels between the behavior of the KKK and current crops of MAGA-hats, with little winks to the language used by Donald Trump and even a whole reel of footage from the racist "Unite the Right" rally in Charlottesville in August 2017. Make no mistake--this movie has a message to deliver. To be clear, I am in favor of messages in movies. I don't mind a little leading toward a drawn conclusion, nor do I like a "both sides"-ing of issues like racism or the KKK. I do, however, want to think at least a little bit during a movie. Watching this was like being on autopilot, the only drama coming from not knowing the exact outcome of this particular situation. So while this movie should have drawn me in by this exact, particular situation, the continued references to our current day pulled me out into the broader, political crisis of today. So while that was definitely the point, and a helpful lesson, it felt a little like a color-by-numbers picture. Like, the final result is obvious before even starting to color so there's no surprise. What I will comment on, positively, is the way this movie handled the blurring between fiction and non-fiction--a common complaint I have with biopics (see: Bohemian Rhapsody). They stayed as true as possible to the story, and the additions (like Stallworth's girlfriend, who was likely fictitious) only enhanced the story without forcing major changes in the overall plot. 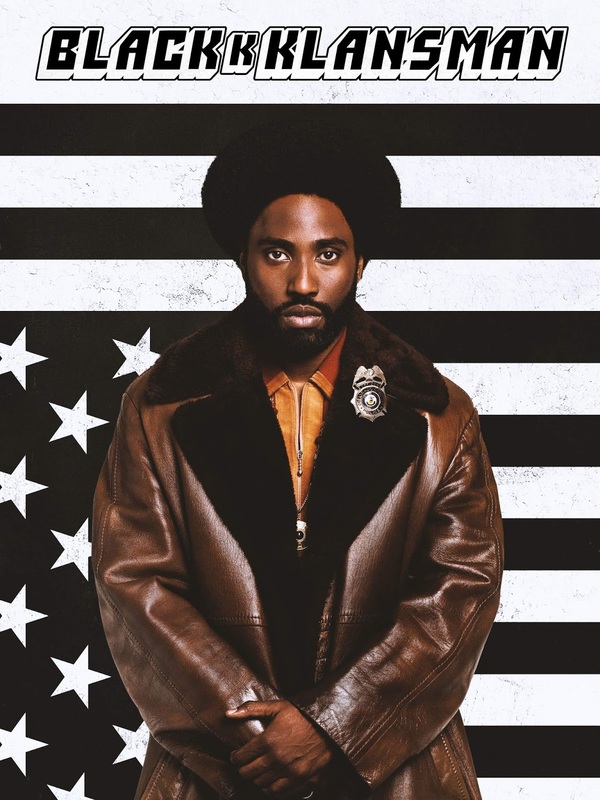 Overall, it feels like the reason this movie, more than any previous film directed by Spike Lee, is garnering attention because it was made to help white people feel triumphant that they are siding with the correct side of this story. They can point to this clear-cut portrayal of racism and say "that there is bad and I condemn it" while also feeling like they've learned about black history through a monologue from one of the founding members of the Black Panther party. It's coddling. It's telling audiences, "here are the bad guys and they can be defeated." But even with the little nods to systemic oppression, with police brutality against blacks or microaggressions at work, this movie does a disservice to white audiences by letting them believe that ultimately, people will do the right thing. History has shown us that the people in power in this country will not cede their power or adapt to change willingly. Hell, there are elected representatives right now (like the infamous Steve King of Iowa) who talk openly of white supremacy and white nationalism without consequence. 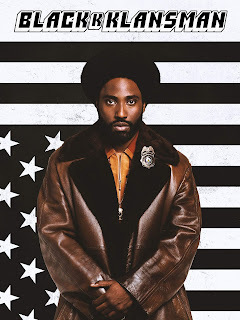 So while this movie might make you feel good to watch, it's a hell of a letdown when you realize it's lulled you into a much rosier picture of what racism looks like and how it manifests. The KKK is the easiest, most obvious target to decry when thinking about racism against black people. But compared to the police, the judicial system, and even academia? It might seem unfair to judge this movie on what it could have been or what I think it should have been. I don't mean to. The movie, as it is, is a good movie. Is it Spike Lee's best movie? Hell no. Is it even one of the best movies of the year? I don't know, that remains to be seen. All I'm saying is that for a movie that takes itself so seriously, it could have been more, well, serious. It's entertaining, but let's not hold it up as anything more than a hell of a story and a light introduction (pun intended) for white people into racial oppression in America. Final word: Good, but simple. Like a baby step into fighting racism.